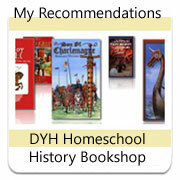 Get your homeschool history unit study on Ancient Greece ready by choosing a selection of excellent Teacher resources. Here you will find reference books such as cultural atlases, and encyclopedias which are handy to refer to during the study. Further on the page, you will find Historical Sources such as Herodotus and Thucydides. For each time period, you really need some great reference books. 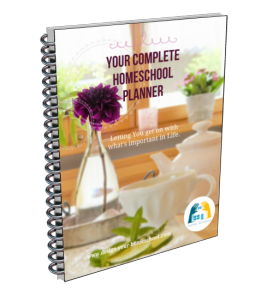 Some of these you will be able to find at your library and it would be so good to have them on hand while you enjoy studying the Ancient Greek time period in your homeschool. The Usborne Internet-Linked Encyclopedia of Ancient Greece by Jane Chisolm is highly recommended. This lavishly illustrated encyclopedia describes the remarkable history of one of the most exciting chapters in the history of the world, from the first signs of life on the islands of the Cyclades to the golden age of Classical Greece. Stunning photographs and detailed reconstructions create a vivid picture of life in ancient Greece, while the comprehensive factfinder includes a time chart, who's who, and lots more about gods and goddesses, mythology, philosophy, plays and famous battles. The reason we love Invitation to the Classics expounds upon what it means to have a Christian view of literature, including its benefits, aesthetics and place in culture. Classics from a variety of authors including Homer, Sophocles, Plato, Dante, Shakespeare, Pascal, Swift, Emerson, Dickens, Tolstoy, Lewis and others are all viewed with an in depth literary and biographical assessment. Each author is introduced with literary analysis of their most famous works, impact upon time, posterity and "Issues to Explore" discussion questions. 384 pages, indexed, softcover. Streams of Civilization are excellent reference books. We have also used this series with our older children as their own spinebook. 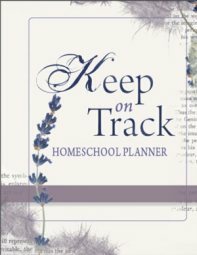 They have read and summarized from this book as well as used this to write essays and do extra research work. For the Ancient Greece time period, you will need Streams of Civilization Volume 1. As mentioned on the Ancient Rome Teacher Resources Page, reading the primary sources are a wonderful insight into the minds of those who lived at the time, their culture, and their reason for writing. There are some important questions which your older student can ask to explore the primary source and find out more about the author. "The translation is fresh and exciting. The charts, maps, and illustrations make the book even more useful. This is a must for every pastor who wants to read Josephus,"---Prokope. A careful condensation of Jewish Antiquities and The Jewish War, enhanced by photographs, maps, and illustrations. One of the masterpieces of classical literature, the Histories describes how a small and quarrelsome band of Greek city states united to repel the might of the Persian empire. But while this epic struggle forms the core of his work, Herodotus' natural curiosity frequently gives rise to colourful digressions. The Landmark Thucydides: A Comprehensive Guide to the Peloponnesian War by Robert Strassler provides the narrative of Thucydides plus additions which help to place the writing into the cultural context. This book includes a vast array of superbly designed and presented maps, brief informative appendices by outstanding classical scholars on subjects of special relevance to the text, explanatory marginal notes on each page, an index of unprecedented subtlety, and numerous other useful features.